Renovations Are Complete! WATERFORD SPEEDBOWL Ready To Go Green! 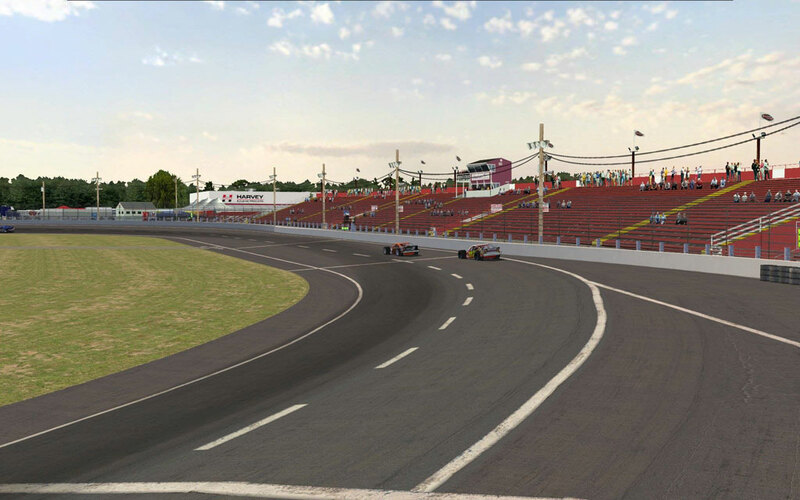 Over 3 years in the making, Project: Short Tracks is proud to present a fully renovated “Waterford Speedbowl” for NR2003. The popular Connecticut .375 mi. racing facility is being brought to life on your PC’s with the kind of detailing and immersion that has long been a trademark of the PST development team. 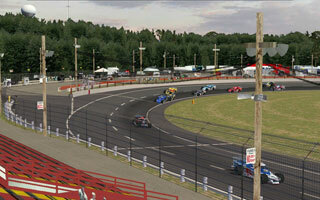 Both drivers and fans that frequent the Speedbowl will immediately recognize the landmark objects, buildings and surroundings meticulously crafted by some of the best modelers and detailers in the NR2003 sim community. But the attention to detail doesn’t just end with graphic enhancements. The racing surface, banking and A.I. were all given a thorough updating as well. 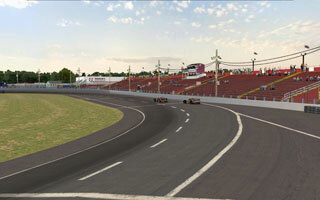 The track features working pit stalls for 27 total cars (26 opponents) and two distinct racing grooves. Battle the A.I. hard on the outside or hang down low and rim ride. Either way the A.I. cars will give you a hard time getting around them. There are many people to thank who leant a helping hand in this project. Please be sure to read about all of their contributions in the CREDITS README file provided with the track. There are also some very important notes in there about the A.I. and how to get the best results when racing on the track in NR2003. So fire up those racing PC’s and head to Waterford. This venerable short track promises to become an instant favourite among NR2003 short track enthusiasts. A night version of the track is in production and will be released at a later date.